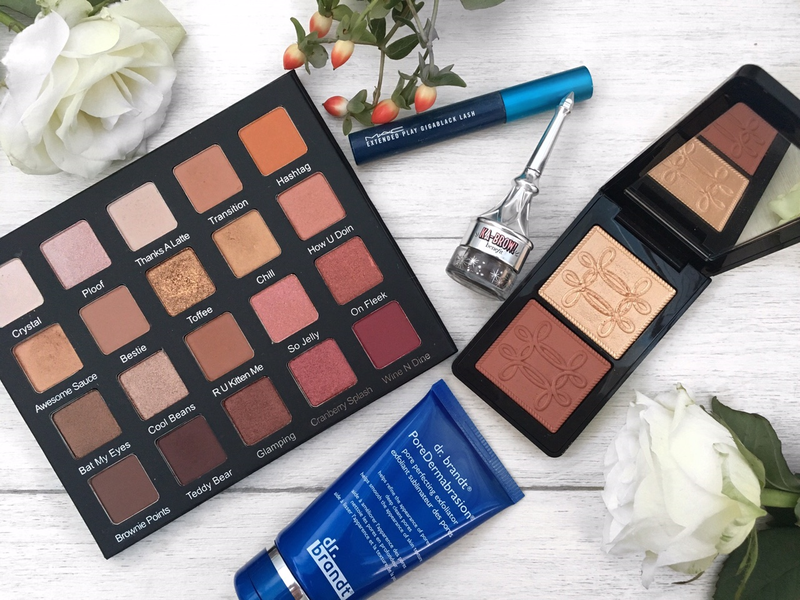 Recently I have been trying to get out of my comfort zone beauty wise, I was kind of sticking to the same products as I guess I was just comfortable with what I was using and my routine at the time. So I have given my routine a bit of an overhaul, from my haircare, skincare even to the colour eyeshadows. I will be doing a new skincare routine very soon on my blog to show you this! 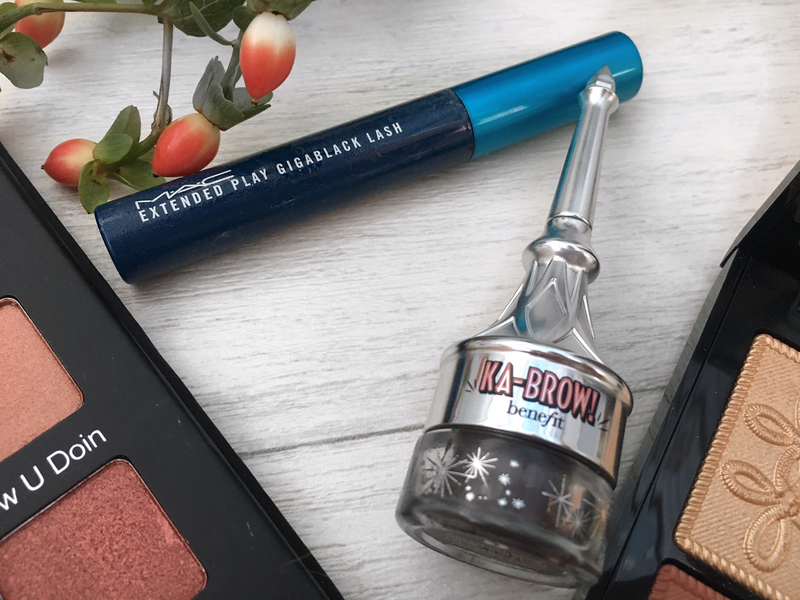 When I said about being comfortable with a product, one of them would be the Anastasia Beverly Hills Dip Brow Pomade, thinking of using something else for my brows was out of question as I have never used anything I love quite as much. I decided to be brave (haha) and try something different and that was the Benefit Ka-Brow. I got this in a set which was quite a bargain actually, it had a few brow stencils, a full size pencil brow highlighter and brow gel all in a little tin. I use the Ka-Brow with the Arched brow stencil, and it makes doing my brows so much faster and easier. I also find the Ka-Brow to be like the ABH pomade but more of a powdery finish to it which I find gives a more natural look. I love it! even the brush on the end is really good for application too. One thing I will never stop buying now is the MAC Extended Play Gigablack Lash Mascara. I don't think it's that great for top lashes, but on bottom lashes it's a whole different story. If you are like me and always get a watery eye/s after applying mascara you need this. The mascara wand on this is long, but pointy which separates your lashes perfectly while getting right to the very hard- to- get inner corners. The formula is so black and doesn't budge all day, that's why its perfect if you have watery eyes. I also recently purchased something from the new MAC Nutcracker sweet collection, I have had this the least amount of time but it needed to be in here. This is the Sweet Copper face compact, and I mainly got this because of the sought after Whisper of Gilt highlighter. And boy do I know what the fuss is about, it's bloody beautiful! As soon as I swiped this on I was like YAAASS! then also considered buying another as I don't want to ever run out, but I needed to be sensible. The Whisper of Gilt highlight is this stunning, pale gold shade which is so glowy it looks like you apply it wet when you actually haven't (I hope that makes sense). The blush included is called 'Pleasure Model' which is a nice rosy, bronze colour which is also pretty damn lovely too. The Violet Voss eyeshadow palettes where something I had always seen and swooned over. 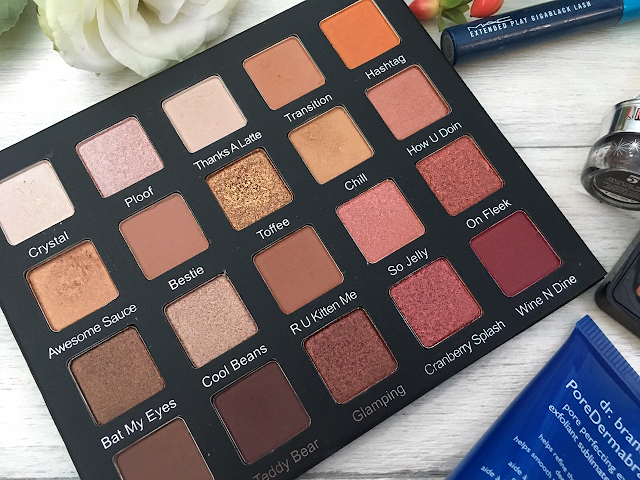 My first palette by them was the one by Laura Lee, and I love that one. 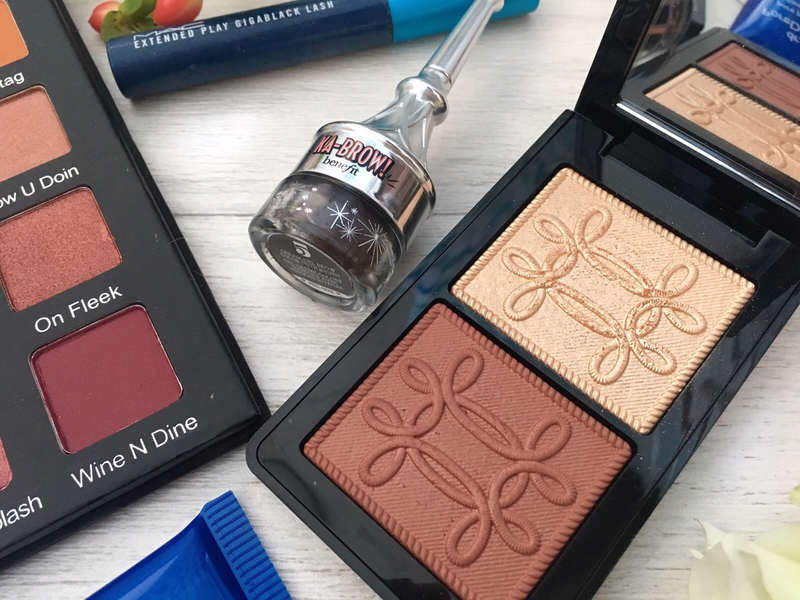 But when this Holy Grail palette popped up one day on Beauty Bay it had to be snapped up, you may know this palette is pretty hard to get hold of and didn't think id get another chance. Did I need another eyeshadow palette? erm no! but the make up addict in me was like yes buy it, its now or never - so obviously I listened. Do you not ever do that when a gorgeous beauty product comes online? the battle in your head like ..no you don't need it, you probably have shades like that already, save the money - but its so pretty though, what if it sells out and you cant get it again! you know you'll love it. I swear I was doing this for an hour before I just thought stuff it I'm buying. I'm so glad I did because I have been using this non stop. I literally use every colour out of this palette which is rare for me as usually there are a few which id never touch, the quality of these shadows are just as amazing too. It's like my perfect palette! 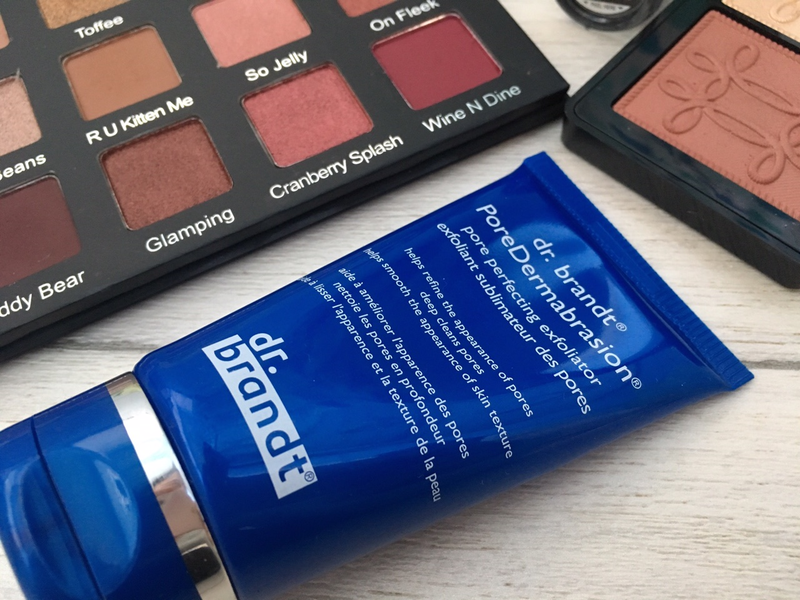 One skincare brand I have really been loving at the moment is dr.brandt. I have been in a bit of a rut with my skin recently and this PoreDermabrasion has been helping so much with the appearance of my skin. It reduces the appearance of pores while giving them a real deep clean, my make up applies beautifully after this and I have noticed much less breakouts since using this too. I have been using more by this brand and I shall go through this in my next post. The only down side to this is the price, I got mine from Beauty Bay for around £35 but It looks like its sold out at the moment. Have you tried any of these products? What have your favourites been recently? I would love to hear your thoughts. I have the palette and flipping love it too, so so stunning!